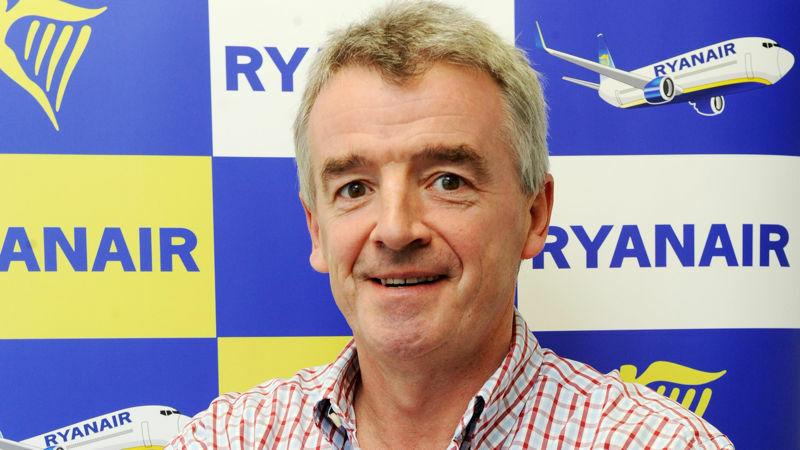 Ryanair CEO Michael O’Leary will be due a tidy bonus if he doubles the airline’s profitability or share price over the next five years. In a stock exchange filing, the Irish airline outlined the share options its board directors will be granted if the low cost carrier achieves a EUR€2 billion annual profit or a €21 share price over the next five years. Chief executive Michael O’Leary has been granted options over 10 million shares at a strike price of €11.12 (the current share price), which will mean a €98.8 million (USD$111.8 million) profit if either target is reached. The 11 non-executive directors have been granted options over 50,000 shares each at the same strike price, or a €494,000 profit on reaching the target. O’Leary earlier this month agreed a new five year contract which sees him move to the position of Group CEO, with responsibility for the development of the group. Airline units Ryanair, Ryanair Sun and Laudamotion all have their own CEOs.